or rather they are in a pickle. 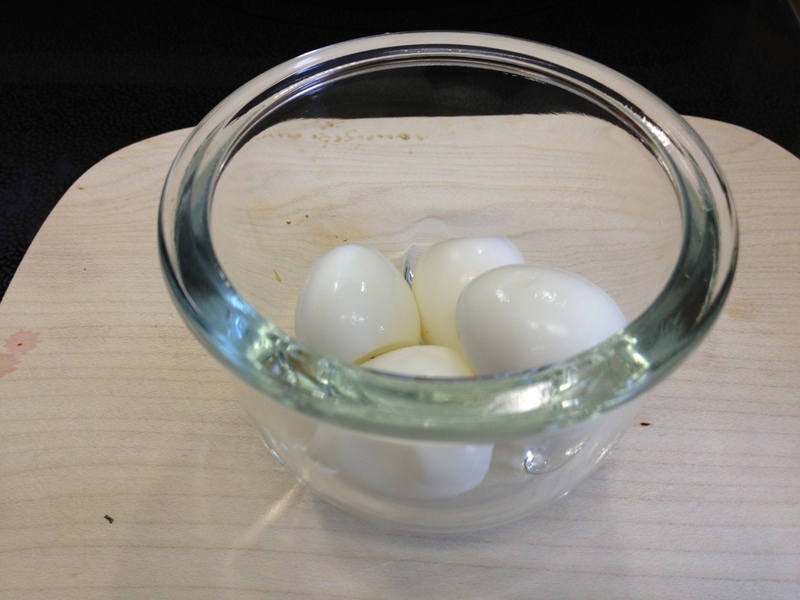 I am talking about the 8 quails eggs that I pickled today. The recipe is from the Chow’s website. 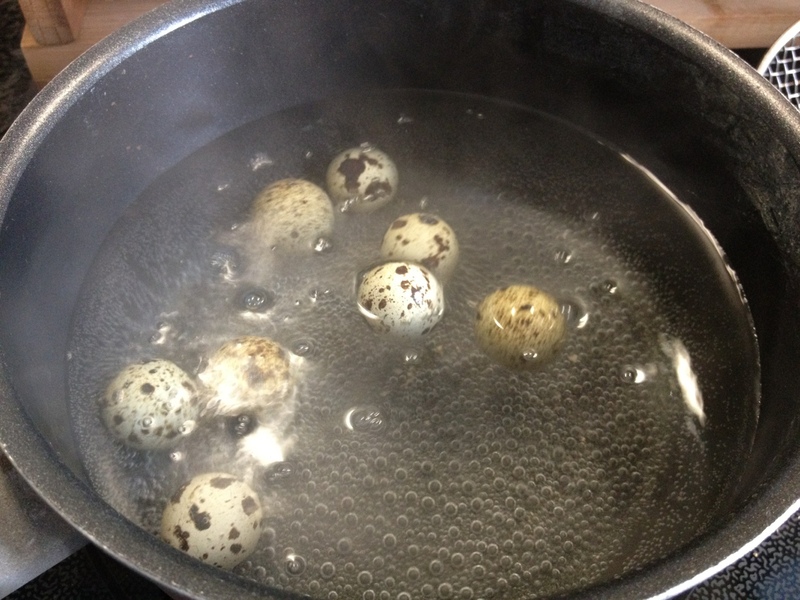 First I boiled the eggs for 3.5 minutes and put them in ice cold water. 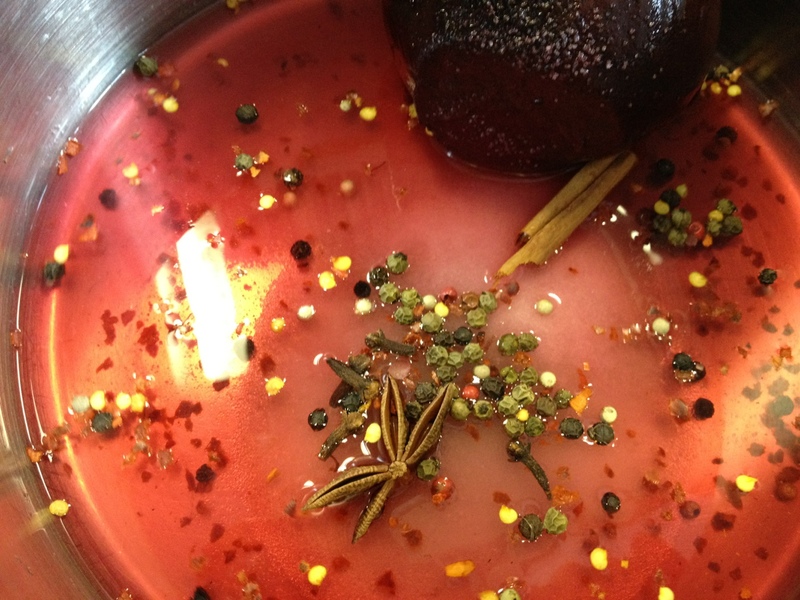 For the pickle mixed I roughly cut a small precooked beetroot and cooked it in a pickle mix consisting of 1/2 cup cider vinegar, 1/2 cup water, 1 star anise, 1/2 a cinnamon stick, 1 teaspoon of peppercorns, 1/2 a teaspoon of dried chili, 1/2 tablespoon salt and 1 tablespoon sugar. 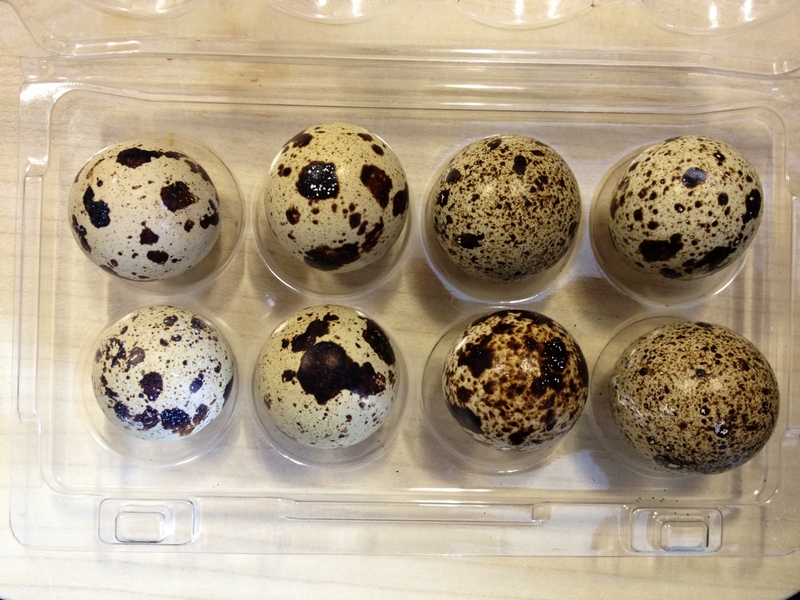 The came the fiddly bit, removing the shells from the egg. 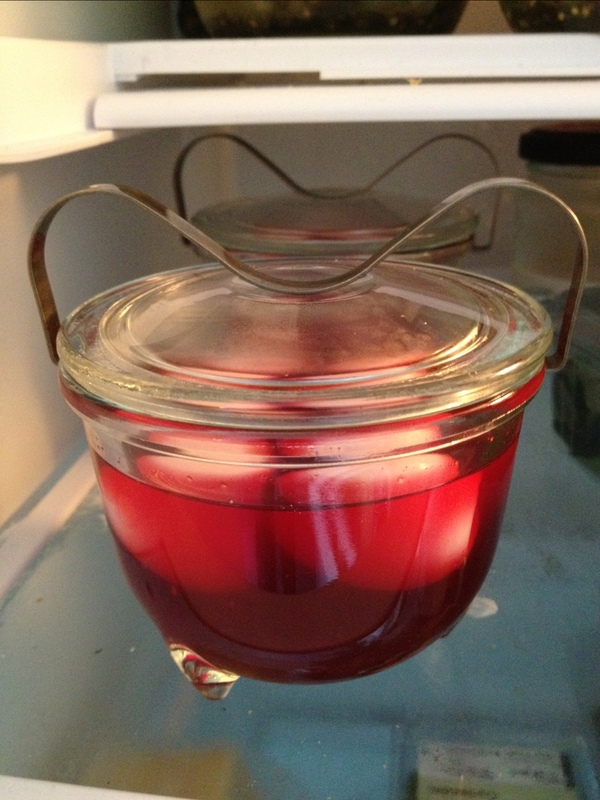 Once I had managed that, I put the eggs in small glass containers. I sieved the pickle mix into the containers until the eggs were fully covered. 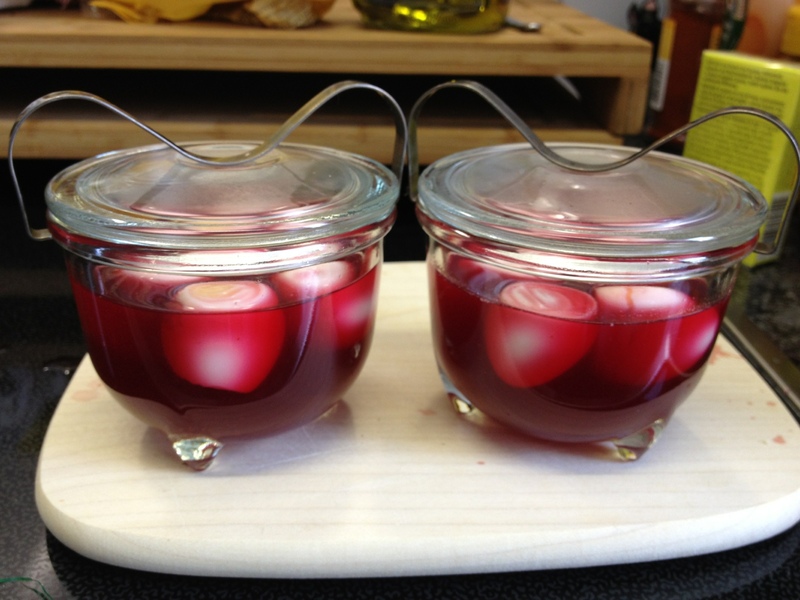 Now the pickled eggs are sitting in the fridge for a few days next to my other goodies desperately wanting to be eaten!